Duck à l’orange is a classic French dish, but if you make the sauce from scratch, it can become time consuming. Here’s a simplified version that is just as good: use store-bought stock instead of having to cook down a duck carcass, and use orange marmalade instead of fresh. Choose a good marmalade, one with pieces of zest in it, for a more concentrated orange taste. 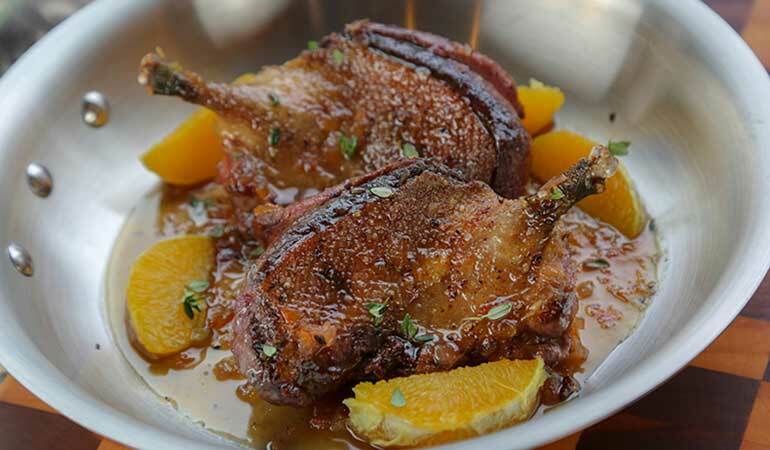 Serve this Easy Orange Duck Recipe with gewürztraminer, pinot noir, merlot, and Beaujolais. 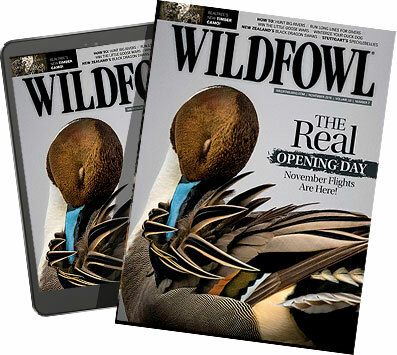 Rinse duck(s) under cold water and pat dry with paper towels. 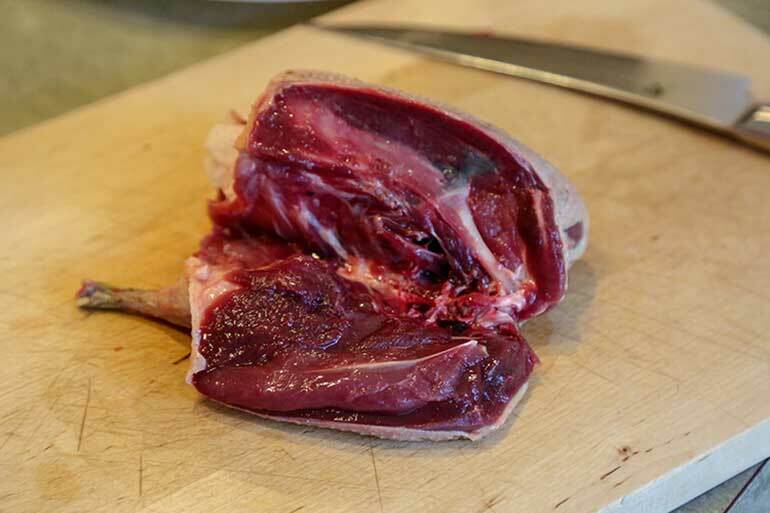 Break down the duck as desired – I like to debone the breasts while keeping a leg attached. Season with salt, pepper and paprika on all sides. Heat a skillet over medium-high heat and coat with oil. 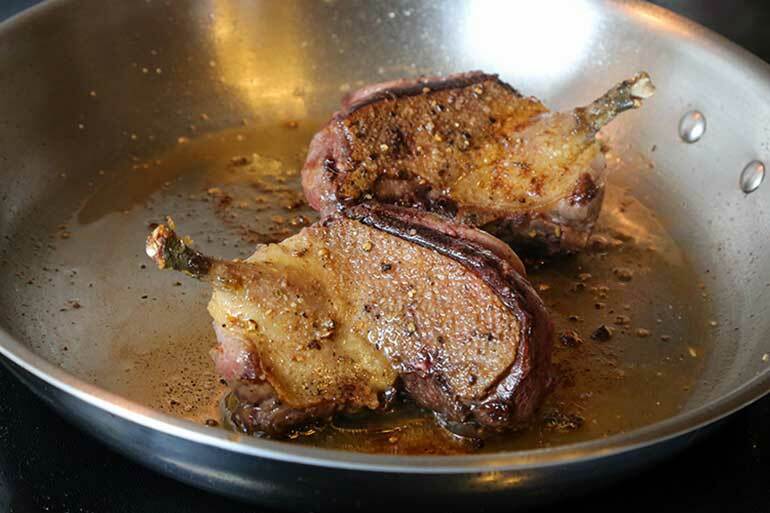 Add duck pieces to the pan and cook for about 3-4 minutes on each side, or until browned. Take off the heat and transfer browned duck pieces to a plate and rest/keep warm in the oven on the warm setting. Lower the heat to medium on the same skillet. Add the minced shallot to the leftover grease and sauté for about a minute to soften. Then deglaze the pan with the dry sherry, scraping the bottom of the pan with a wooden spoon. Allow the alcohol to evaporate nearly completely, then add chicken broth, orange marmalade, lemon juice, and fresh sprig of thyme. Bring the sauce to a simmer and cook until thickened, until you can run a spoon through the sauce and it leaves a trail for a brief moment. Take off heat. 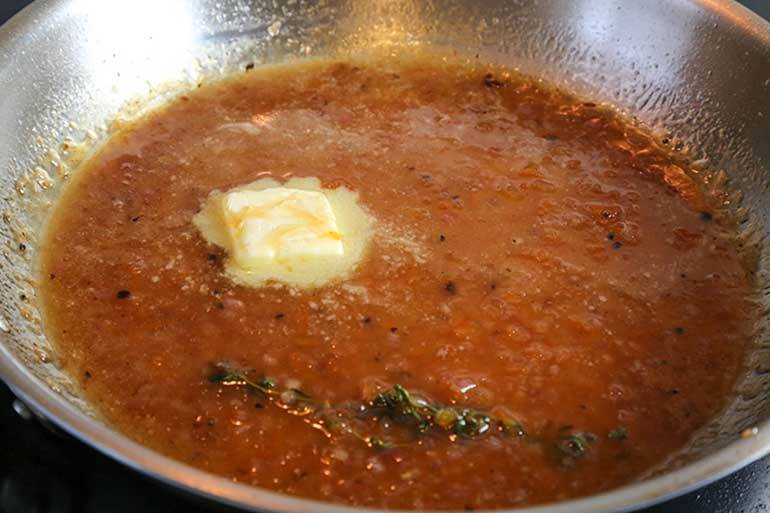 Whisk butter into the sauce and discard the thyme. Taste for seasoning. If there are any drippings from the ducks, mix it into the sauce. Serve the duck with the sauce drizzled over it. If you have any fresh oranges lying around, cut out segments for garnish. Finish the dish with fresh thyme leaves.